Bernhard is one of the best golfer from Germany. He is the winner of the 1985 and 1993 Masters Tournament which is one of the four major championship. Except this he has also won many tournaments. Here is given the detailed information about this golf player fro Germany. 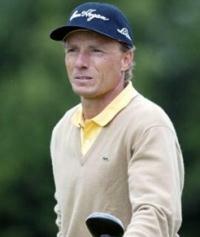 Bernhard Langer is a professional golfer from Germany. 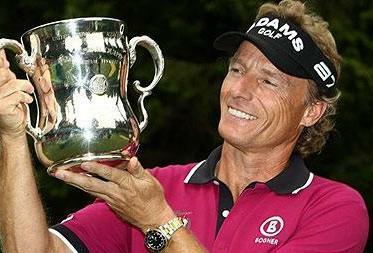 The two time winner of The Masters, Bernhard Langer has won many more golf tournaments in his career. He is second in the list of having most number of wins on European Tour with 42 wins. Currently he is playing on Champions Tour which is a senior golf tour for the 50 plus age golfers. Bernhard Langer started playing as an amateur in 1974. In that year he won the German National Open championship. He become professional in 1976 but his success is only limited to the golf events in the country only. His first major win came at 1980 Colombian Open. He then won his first European Tour event at Dunlop Open that year. In 1981 he won his second European Tour tournament at German Open which he later won four more times equalling the record of winning German Open most number of times (5 times) with Percy Alliss of England. He also become the winner of Order of Merit on European Tour in 1981 and 1984. In 1986, he become the first official No. 1 ranked player. Bernhard's first big win came at 1985 Masters Tournament which is his first win at any major championship. His score was (72-74-68-68=282). He again won this event in 1993 improving his score with (68-70-69-70=277). His performance in other major championship events is not that effective. He did not managed to come in the Top 10 of bot U.S. Open and PGA Championship. But in The Open Championship he ended up as second in 1981 and Tied at second position in 1984 event. Bernhard Langer had also participated in many team events in golf. His major participation is at Ryder Cup, where he played in 10 different years from 1981 to 2002 representing Europe Team. His team won in 1985, 1987, 1995 and 1997. In 1989 event his team was Tied winner. He also captained the Europe Team in 2004 Ryder Cup as a non-playing captain. Bernhard has also represented the German Team at World Cup 13 times. He was the part of the German Team who become the winner in 1990 and 2006. In 1993 World Cup he become the individual winner. After turning 50, Bernhard started playing Senior golf tournaments on Champions Tour in 2007 and emerged as one of the top player on the Tour. He won the Order of Merit on the Champions Tour for three consecutive years - 2008, 2009 and 2010. He also won two major championship in his senior golf career. First at 2010 The Senior Open Championship and second in the same year at U.S. Senior Open.